Imagine if Twitter existed 100 years ago? Get all the latest news and opinions from revolutionary Russia and beyond with RT’s #1917LIVE interactive project that bring history to life. Follow Bolshevik leader Vladimir Lenin as he returns from exile, read what the deposed Tsar Nicholas II has to say about the events in the turbulent country, and join in the project yourself by creating a historical Twitter account, and engage in history. RT’s educational history project #Romanovs100 won top prize at the world’s hottest social media awards, the Shorty Awards, this year in the ‘Best Images’ category. 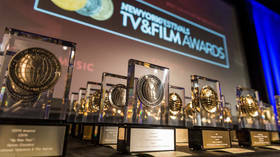 #Romanovs100 won two golds for “Best Original Music” & “Best Digital Special event,” silver in “Camerawork” and “Art Direction,” and bronze in “Video Art & Experimental Film” for a VR animated music video this week. 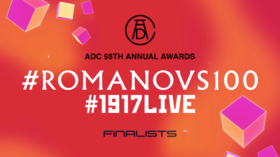 RT’s #1917LIVE & #Romanovs100 have made it to the finals of the oldest and one of the most prestigious awards in design, marketing and advertising – the ADC Awards. 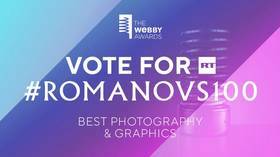 #Romanovs100 nominated for Webby Awards ‘internet Oscar’ & your vote counts! 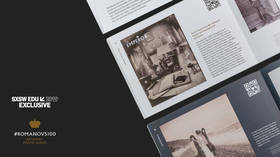 RT’s multi-platform social media project about the Romanov family is up for a Webby in ‘Best photography and graphics’ category. 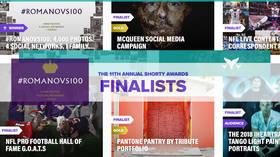 With an ongoing open vote, you can help the digital photo-narrative make history. 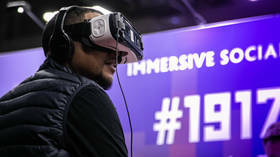 RT projects #Romanovs100 & #1917LIVE have hosted a live panel at one of the biggest educational festivals in America, SXSW EDU, talking about how social media and storytelling could inspire a personal quest for studying history. RT’s history photo-project #Romanovs100 has culminated at America’s major education festival SXSW EDU ― the photo album premiering in Austin takes history experience beyond print, with the help of extended reality.